Staying connected with DealDash can help you win more auctions. Here’s how you can stay connected with DealDash. Are you a busy person who never seems to get enough time in their day? However, you also love DealDash and want to bid on and win auctions? Well, if you try to stay connected and in touch with DealDash you’ll find yourself winning more auctions and having more fun while you’re at it. Here are some ways that you can stay connected with DealDash. The DealDash app is probably the best way out there to help keep you connected with DealDash when you can’t be at home on your computer. It’s easy to download, FREE, and super simple to use. It’s also a great way to waste time when you have to commute on the train or bus, spend time in a waiting room, or just have a few extra minutes on your lunch break at work. Here are the links to download the DealDash app. Facebook is one of the most popular websites on the planet, and DealDash knows it! DealDash is a longtime member of Facebook and it shows. DealDash has a whopping 1,337,780 likes! Yes, that’s over ONE MILLION likes. You can come like and follow DealDash on Facebook to stay in touch and stay connected to all of the news, events, and happenings around DealDash. Just click here and you will be taken to DealDash’s Facebook page. Did you know that your favorite website, DealDash, also has an active Twitter account? It’s true! DealDash sends out many tweets per week on a variety of different subjects such as links to new blogs when they come out and also pictures of winners and their prizes. It’s a fun account to follow, there is always something going on when you visit DealDash on Twitter. You can just click on this link here and check it out for yourself! Thanks so much for reading this DealDash Blog article today on staying connected with DealDash. Don’t forget to check back often for new articles here are well as on our other blogs, DealDash Reviewed and DealDash Tips. We hope that your DealDash experience is a good one. Please let us know how we’re doing in the comments down below. Are you ready to win auctions on DealDash? Visit DealDash now to see how much you can save. Good luck and happy bidding everyone! Do you love DealDash? Do you love free stuff? Then you’ll love FREE bids to use on DealDash. I love to help newbies win more auctions on DealDash, and a great way to win more auctions is to have more bidding power. How can a person get more bidding power? By getting free bids from DealDash, of course. Winning on DealDash with bids that you bought is great, but winning with FREE bids is even better. Here is the best way to get free bids on DealDash. What’s the easiest way to get free bids on DealDash? Quite simply, the easiest way to get free bids is to bid. What do I mean? It’s easy! Navigate yourself to DealDash, and look at the bottom of your screen. You will see your bidder name on the far left, your bids that you have left in your bid bank, your DealDash level, and finally your “Time as the highest bidder” time clock meter. Have you ever noticed that when you bid your time clock meter starts filling up with green when you are in the lead? Eventually, your time clock meter will be filled up all the way, and you will receive free bids from DealDash. Once your time clock meter has been filled your bid bank will immediately be credited with free bids. After that, you’ll move up one level. Every time that you move up a level you will start all over again with an empty time clock meter. Honestly, it takes quite a while to fill up those time clock meters. Luckily, DealDash realizes this and has come up with a solution. TATHB Multipliers! What is a TATHB Multiplier? This is when DealDash gives you two, three, or even four times as much time on your time clock meter! This is an excellent time to bid on something that you would use anyway and don’t mind paying full price for, such as a gift card. Because even if you don’t win the auction, you can always BIN it, get your bids back, and even get to keep the time that you accrued on your time clock meter as a gift from DealDash. Taking advantage of the TATHB Multiplier is a total no-brainer because DealDash always offers the BIN option. Buying It Now (BIN) is just the smart thing to do. After you’re done bidding in an auction, submit your payment to DealDash. After this, DealDash will refund all of the bids that you spent on the auction. Thats how you can take advantage of the TATHB Multiplier and not lose any money in the process. Thanks so much for reading this DealDash Blog article on free bids today. Don’t forget to check back often for new articles here are well as on our other blogs, DealDash Reviewed and DealDash Tips. We hope that your DealDash experience is a good one. Please let us know how we’re doing in the comments down below. Many people enjoy the finer things in life. DealDash can help you get them for less money. Read on for more information. Having the finer things in life is the aspiration of most people. Of course, there are people who prefer to live life simply and with fewer material possessions, but those type of people aren’t normally found on “Entertainment Shopping” websites! If you love the finer things in life but are lacking in the funds department, then it’s time to see what kinds of classy things that DealDash has to offer you. Let’s take a look. DealDash is the home of all things electronic and loves to showcase new gadgets. If you hear about a new gadget on the news or read about it in a magazine, you can pretty much bet that it will be showing up on DealDash shortly. In fact, DealDash was actually the first place that I had ever seen sleep-tracking devices that go on the bed, and I ended up winning two of them! DealDash was actually also offering smartwatches before Apple even came out with their Apple watch! Isn’t that amazing to think about? It’s like DealDash is on the cutting edge of all things fun, electronic, and gadget! Living in your own home is nice, but sometimes it takes a while to accumulate classy and expensive things such as art and sculpture. With DealDash you don’t have to worry about trying to find an interesting painting at a garage sale or a chipped sculpture at your local discount store. DealDash offers both art and sculpture for inside and outside of your home. These auctions are offered quite frequently, so it’s easier than you might think to snag a piece of fine art for a low price. There will be plenty of times that you don’t win the auction. Unfortunately, that is just part of the pay-to-bid experience. If everyone was a winner every time, then DealDash would go out of business and no one would get any good deals. However, DealDash has a way that you can get all of the bids back that you spent on an auction. You can have your bids returned to you by buy Buying It Now (BIN). 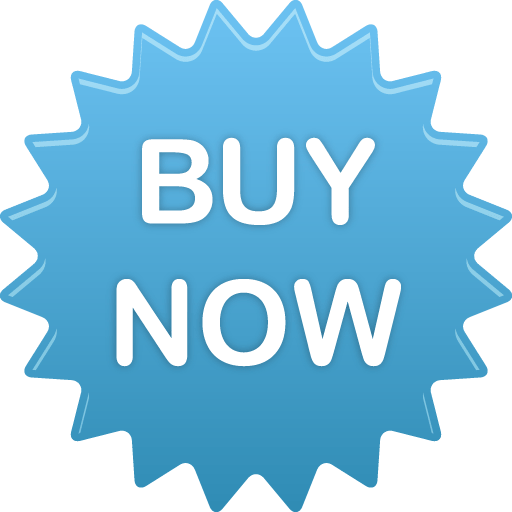 In your dashboard, you will see the “Open buy it now offers.” The name of the product is listed, as well as how long you have left to BIN the auction, and how many bids you will receive back when you purchase the item. Winning an auction is amazing, but BINning an auction and receiving your bids back is very satisfying as well. Thanks so much for reading this DealDash Blog article on the finer things in life. Be sure to check back often for new articles here are well as on our other blogs, DealDash Reviewed and DealDash Tips. We hope that your DealDash experience is a happy one. Do feel free to let us know how we’re doing in the comments down below. It’s time to WIN and BIN some classy products! DealDash has some awesome products up to bid on. Visit DealDash now to see how much you can save. Good luck and happy bidding everyone! We can’t win all of the auctions on DealDash every time. However, the BIN option is always there for you. If you’re a frequent bidder on DealDash, then I’m sure that you’re familiar with the BIN (Buy It Now) option. However, if you’re a new player on DealDash, then you should quickly familiarize yourself with BIN, because it will save you money and bids on DealDash. Read on to learn more about Buying It Now (BIN) on DealDash. BIN is the thing to do if you don’t win! If you don’t win the auction that you’re bidding on, that’s okay because you can still get all of your bids by buy Buying It Now (BIN). You can BIN any auction that you have bid on, even if you only put in a few bids or have bid way more bids than you should have. If you want to find your open BIN offers, open your dashboard. You will see the “Open buy it now offers.” You will see the name of the product, how long you have left to BIN the auction, and how many bids you will receive back when you purchase the item. It’s easy to pay. You have a choice if you’d like to pay with credit, debit, or even Paypal, exactly the same as if you had won. Upon the completion of your payment, DealDash will refund all of the bids that you spent on the auction. You can use them again right away, or save them for another day. You might be wondering how you know when to stop bidding and BIN the auction. No problem! It just takes a tiny bit of math to figure it out. Just take the retail price of the auction that’s listed on every auction page, and divide it by the price you paid for your bids. This price could be anywhere between .12 and .60, depending on how much you paid. This will give you the exact number of bids that you need to reach the retail price of the item. Keep in mind, though, that you will also need to pay the final auction fee if you win. Sometimes DealDash offers half-off or even free auction wins. Keep an eye on the banner on the main DealDash page for the details. No matter if you’re winning or BInning, DealDash offers free shipping on all items on the site. This includes the smallest jewelry items to the biggest furniture items. They all have free shipping and handling. Isn’t that awesome?! Every item will arrive brand new, in the original box, and covered by the original manufacturer’s warranty. Thanks so much for reading this DealDash Blog article today on Buying It Now. Don’t forget to check back often for new articles here are well as on our other blogs, DealDash Reviewed and DealDash Tips. We hope that your DealDash experience is a good one. Please let us know how we’re doing in the comments down below. If you’ve bid on other sites, you know DealDash is different. Here are some ways that DealDash is amazing. I have been bidding on DealDash for years, and I have had very few problems. However, no website is perfect, so I have occasionally had to email customer service for one thing or another. For example, once I had an item arrived damaged. I’m not sure if it had been damaged in transit or what, but regardless, it wasn’t in “100% new and factory-fresh” condition, so I emailed customer service. They emailed me back within just a few hours and arranged an exchange for me. There was no fuss, no hassle, and no pressure. Speaking of pressure, there is another entertainment bidding site out there that relies on high-pressure sales techniques for their bids. I had signed up for them around the time that I had signed up for DealDash, to see which site I liked better. Well, this other site included a space for a phone number that was required, so I put it in. They called me within moments of me signing up and tried to pressure me into buying $1,000 worth of bids on the spot. When I said “No thanks, I’m not sure if I’ll like your site or not.” they kept trying to convince me. It was like a telemarketing call, it was awful. I ended up hanging up on him. DealDash would never do that. As I’ve said before, I’ve been with them for years, and the only time that they have ever called me was for a survey, and they emailed me first to ask if they could call me. And when I was on that phone call with DealDash there was absolutely zero talk about trying to get me to buy bids, it was just a customer satisfaction survey which I was happy to participate in. Unlike those other bidding sites, DealDash offers FREE shipping on every single item, no matter how big or how small. That is one of the reasons that I originally thought that DealDash was much better than some of the other bidding sites. Other entertainment shopping websites offer free shipping on just gift cards, or small items and have excessive “handling charges” on other items. Did you know that some of the other sites even charge to ship gift cards? To ship a single gift card with a receipt in an envelope should cost 1 stamp. If you take into account the company’s cost of paper, envelope, and stamp I could agree with them charging around a dollar to ship a gift card. However, some sites are charging upwards of $2 to ship a single gift card, which is at least double, if not more, than it actually costs them. That seems completely unfair to me. Speaking of unfair, how unfair is it to spend your bids in an auction and have no way to get them back if you lose? There will be plenty of times that you don’t win the auction. Personally, I win about 1 in 10 of the auctions that I seriously participate in. I’m fine with those odds, because I know that I can get all of my bids back by buy Buying It Now (BIN) if I don’t win. After you pay for a BIN, DealDash will refund all of the bids that you spent on the auction. You can use them again right away or save them, depending on how you’re feeling that day.